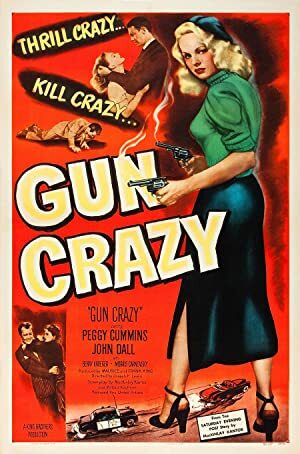 This week, we watch the 1950 bank-robbing love story, Gun Crazy, aka Deadly Is the Female! Join us on March 21st for our episode on Where the Sidewalk Ends! 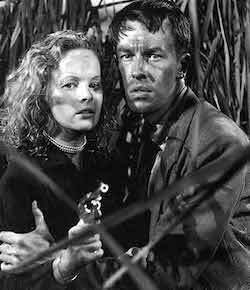 Plot: A well meaning crack shot husband is pressured by his beautiful marksman wife to go on an interstate robbery spree, where he finds out just how depraved and deadly she really is. I just found out about this podcast and wanted to let you know it’s great listening to you. I love the film noir genre and was wishing to find a podcast of quality that deals with that genre and treats movies individually and there you are. Thank you so much for listening! We love doing the show, and we love bringing attention to these great films.